Kitchen, lounge with dining area, bathroom. Patio doors open onto the pool terrace. 2 air-conditioned bedrooms (1 double and 1 twin), both en suite. Balconies overlook the pool terrace and garden. The pool is set within secluded grounds well furnished and providing an outdoor dining area with gazebo and barbecue. The private pool, surrounded by well kept gardens, is the perfect place to relax in the sun. Enjoying poolside barbecue cooking and eating, al fresco style! A useful gazebo with chairs and coffee table is located right next to the pool and is the ideal spot for relaxing under the shade or drinking a glass of wine. Great location. Lovely owners. Nice touch with cake and wine! Thank you. Its the second time my husband and I have stayed in this villa. We absolutely love how close it is to the beach, that youre not overlooked by hundreds of other tourists, that the pool is a good size and not shared by others and how quiet the surrounding area is. The villa is clean and modern with excellent facilities for self catering such as a BBQ that we made use of on several evenings. The owner is friendly and popped over to check all was ok and gave us a lovely orange cake. The local supermarket (and town centre) for supplies is about 5 mins away by car but is walkable as long as you dont mind the heat. The villa is the perfect place to relax and recharge. We had a brilliant week at Sun Beach Villa Tria and we would recommend the villa to family and friends! The property is clean and well equipped. The garden is pretty and we loved the fresh oranges from the trees, itâ€™s a lovely sunny spot to sit and the pool was fantastic! The villa is close to the shops and restaurants in Polis. 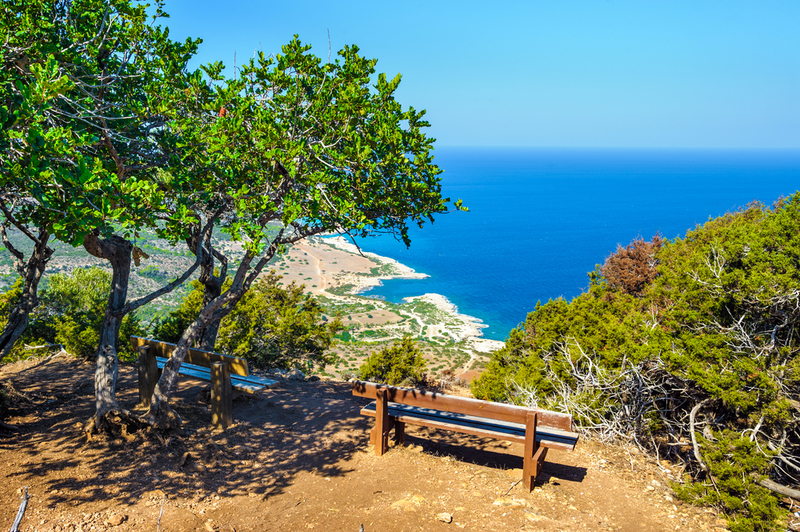 We would definitely book again when we return to back to Cyprus! This is a beautiful villa spacious and very comfortable. It was immaculately clean on arrival and had everything needed for a very relaxing holiday. The pool area is just stunning there is plenty of seating and a lovely area in the shade for relaxing. Both the bedroom have balconies lovely for a drink when the sun goes down. You can see and hear the sea which is so restful. The villa is surrounded by orange and lemon trees - we drank fresh orange juice every day It is very private and not overlooked. The owner Yiannis and his parents were just so lovely Yiannis checked that everything was fine his father keeps the pool immaculate and his mother made us the most wonderful cake ever Really lovely genuine people. 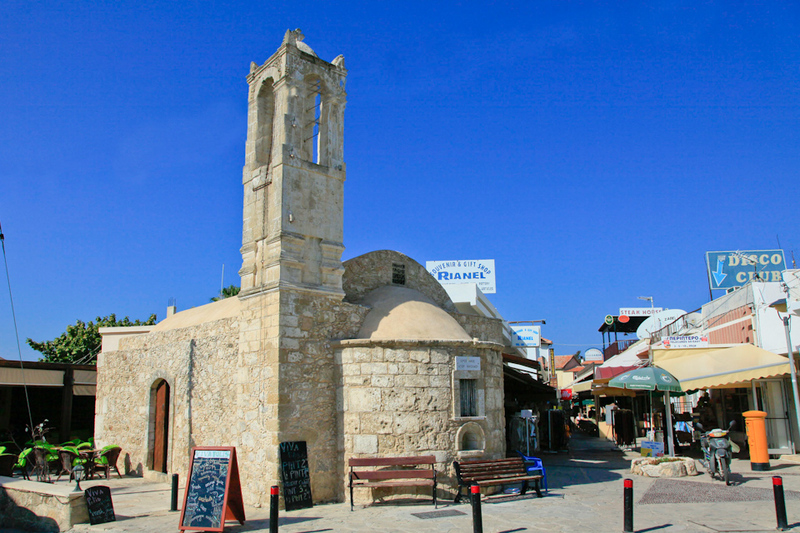 The local area is charming and there are several very good tavernas close by. Cannot praise the villa and the owners highly enough and we hope to return one day. The villa is absolutely gorgeous and just as described. It is better than expectations. The owner was very hospitable with nice touches of fruit home made cake and wine The directions were excellent except for the very last line which sent us to number 4 and not three but this was dealt with efficiently and quickly. It was an excellent and relaxing holiday in a quiet and pretty area. We had a wonderful time at the nice villa. The owner was very friendly even bringing us a huge homemade cake, we could pick oranges and guavas in the garden, our baby could play in the grass in the garden and on the beach that was only a few minutes walk away almost like paradise! Nice villa in great location. Secluded but easy 5 min stroll into town or 2 min to beach . The villa was perfect for our family of 4. It was very clean and had everything you could need. On our arrival the owner had left wine juice water and fresh oranges he then called round to make sure everything was ok and delivered a lovely homemade cake and air con remotes. We would definitely stay here again. Location superb. Facilities excellent. Very spacious and ideal for our family of 5. Will stay in same property again. We had an excellent stay and enjoyed both the amentities and quiet location of the villa. 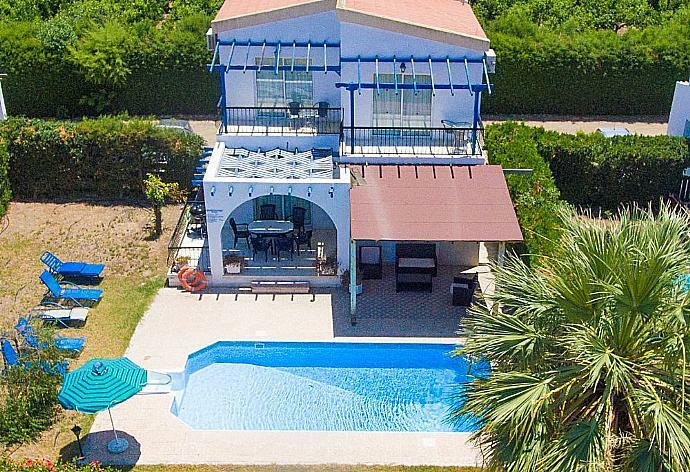 The owner is very friendly as he popped over to ensure everything was ok and brought us a freshly baked cake and left wine and fresh oranges in the fridge The villa is clean and modern with a good sized swimming pool. The beach is a 2 minute walk down the road which was handy for a breeze if it got a bit hot by the pool. This is the second time Ive booked with Agni Travel and would again as the standard of their villas is exceptional. The photos are a little out of date as the garden has more plants in it now. The perfect place for a short family holiday. The Villa was outstanding. Lovely villa in an outstanding location. Were planning to revisit in the near future. The perfect place for a short family holiday. Lovely villa in an outstanding location. We're planning to revisit in the near future. 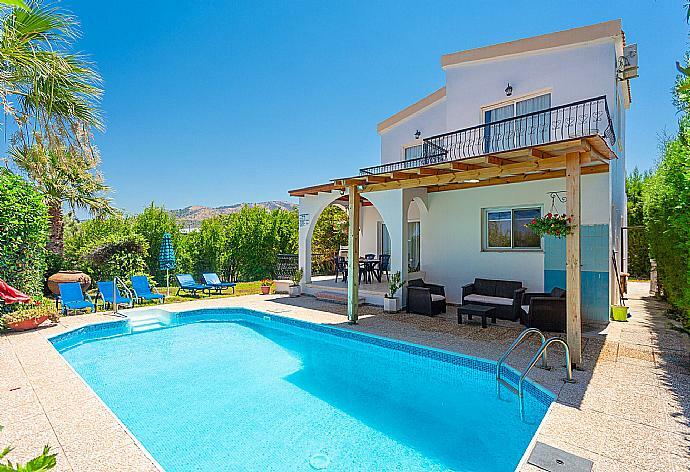 A lovely very private villa in Polis within walking distance of loads of tavernas. Great pool area with plenty shade available if required. Enjoyed picking oranges and lemons off the trees in the garden for freshly squeezed juice every morning. close to Latchi harbour where there are good seafood restaurants and boat trips. Totally recommended. Stayed at Sun beach Villa this June and was very impressed. The villas are situated down a private lane and with only 8 villas in the whole lane are not crowded. Each villa has its own garden and private pool and the grounds are large enough to not be looked over. With 2 bedrooms and 2 en suites , a large living area and kitchen there is plenty of space for a family or small group of friends. The outside areas are pleasant with sheltered eating areas. Sun Beach Villa Tria was booked 2 days ago!